Home > Services > ICSI is an advanced fertility treatment procedure and is performed by Santati in-house Embryologists who are highly skilled in the micro-manipulation technique. This technique is performed under a powerful microscope with magnification up to 400 times. A single egg of the woman is injected with a single sperm of the man. 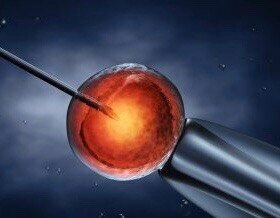 ICSI is an advanced fertility treatment procedure and is performed by Santati in-house Embryologists who are highly skilled in the micro-manipulation technique. This technique is performed under a powerful microscope with magnification up to 400 times. A single egg of the woman is injected with a single sperm of the man.